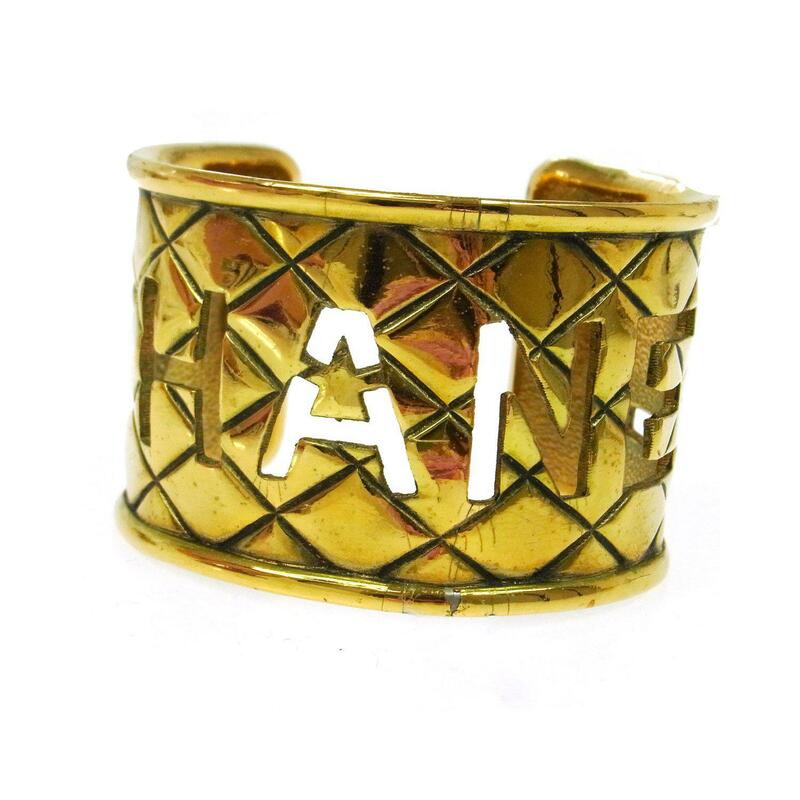 Authentic Chanel vintage CC Logos quilted gold-tone bangle/bracelet. Signs of usage are visible - Sold as is. Measures approx. 7.1 inches in diameter.